Mr Nozzle is Australia's leading supplier of spraying components and accessories. Lechler and Teejet nozzles Arag components and Bertolini pumps. Silvan is Australia’s leading agribusiness company. Established in 1962 primarily to provide spraying expertise and products to fruit growers, the company has grown and developed to now be regarded as Australia’s foremost provider. 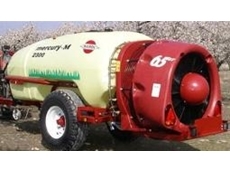 Tornado Pumps and Sprayers manufactures, imports and supplies a wide range of farming machinery equipment including sprayers, fertiliser spreaders, pumps, cultivation machinery, dust control systems, forest mulchers and other related rural equipment. 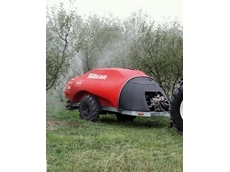 29/04/10 - Silvan Australia, manufacturer of orchard spraying equipment in Australia, has completed a product development project which has resulted in the commercial release of new Silvan Supaflo G2 orchard sprayers. 15/07/09 - The design of the Hardi Mercury mist blowers will meet most demands. They are robust, easy to use machines with arrange of impressive features. 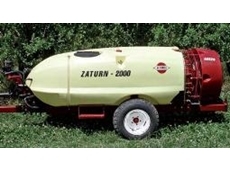 15/07/09 - The overall robustness of the Zaturn mist blower is based on Hardi’s many years of experience in orchard spraying.